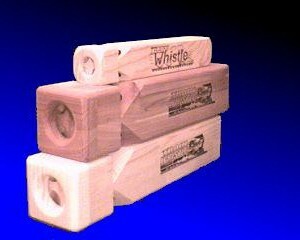 1 Tone Wood Train Whistle | Brooklyn Peddler | Fine railroad novelty items and other fun things including the best wooden train whistle made! 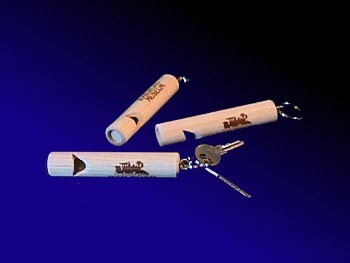 Crisp, clean sound with the added bonus of a key ring. 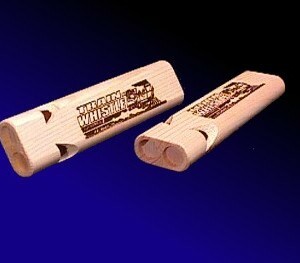 Made in USA in our own shop from hardwood (usually birch), they are 3/4 inch in diameter and 4 inches long. 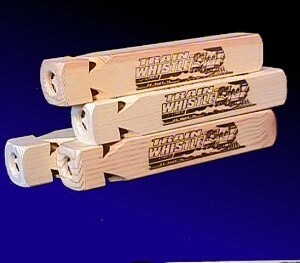 Can be imprinted with your company logo or information.